Yeo-Ri barely gets Bom back with the help of her family. Evil Mooyeol takes Bom to the hospital. She asks him why they are there since she isn’t hurt. He lies that it’s just a routine checkup. 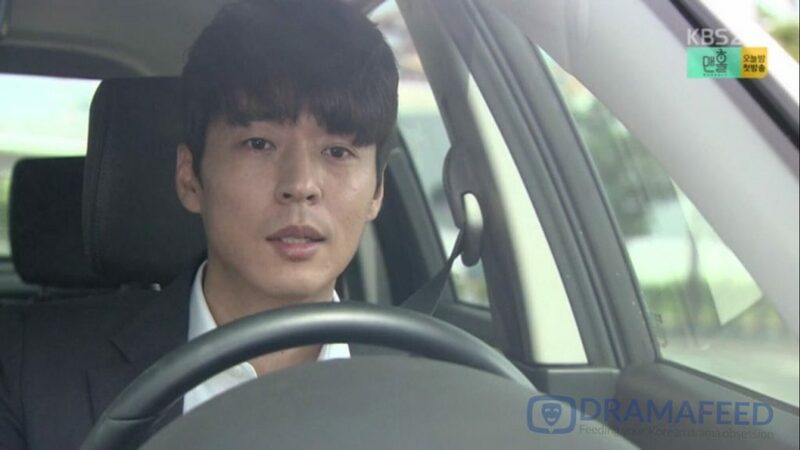 Yeo-Ri and Do-Chi race back to the city as Oliver goes to Enok’s shop to ask where Bom is. She confesses that Mooyeol took Bom so that Bom could see Gaya. Oliver tells Enok about the Kim and Koo family plans to use Bom as a donor for Gaya, which shocks Enok since she knows at a base level right from wrong. Meanwhile, Secretary Kim tells Doyoung that Mihee seems to live in the United States. 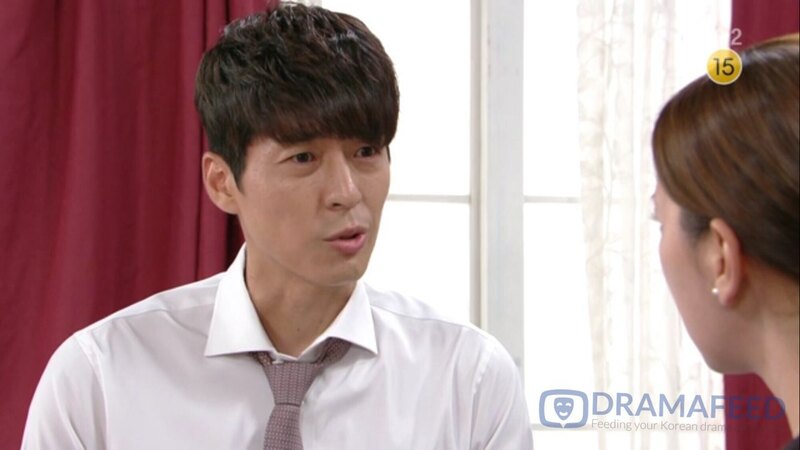 Doyoung instructs the secretary to continue his efforts at finding Mihee as Mihee might be a match for Gaya. 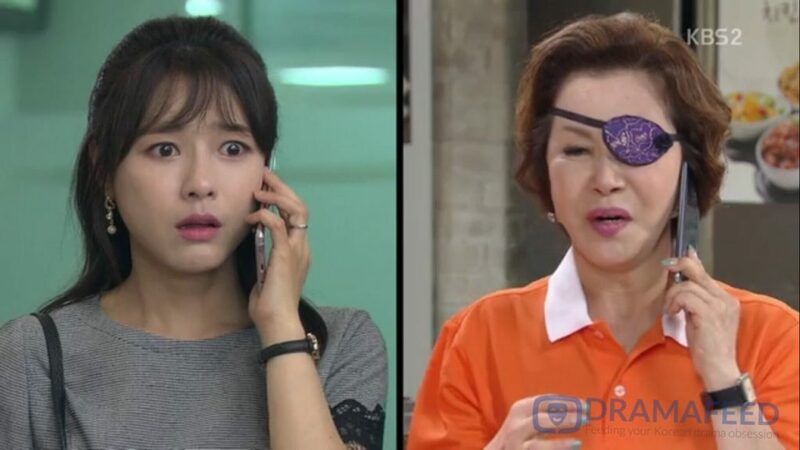 Secretary Kim answers that Gaya’s surgery is already scheduled for the next day. Doyoung realizes something is up and confronts Jiwon in the living room asking if she kidnapped Bom. Jiwon yells back that she did and would do worse to save Gaya. Jiwon goes to the hospital and walks into the lobby in time to see Maryun and Kidong start searching. She calls Haejoo and tells Haejoo to leave with Bom since Maryun and Kidong are at the hospital. Haejoo quickly rushes out and tells Mooyeol who picks up Bom. They run out of the hospital but not before they are spotted by Maryun. Maryun calls Yeo-Ri and updates her that Haejoo and Mooyeol are attempting to make a run for it. The DRAMALAND rules smile on Yeo-Ri and Do-Chi in this case. Minutes after Yeo-Ri gets the call, their car arrives at the entrance where they see Mooyeol’s car leaving. Cue chase! Do-Chi speeds up and cuts off Mooyeol’s car in the street forcing Mooyeol and Haejoo to skid to a stop. Yeo-Ri jumps out and grabs Bom as Maryun and Kidong also arrive. Mooyeol and Haejoo aren’t ready to give Bom up without a fight and get out of the car. However, Do-Chi arrives first to block Mooyeol from Yeo-Ri and gives the piece of trash a satisfying punch! Yeo-Ri asks Maryun and Kidong to take Bom into the car as Haejoo comes screaming for Bom. Yeo-Ri stops her and pulls the banshee away. Then, Yeo-Ri slaps Haejoo! Goodness gracious! What a satisfying scene! Yeo-Ri screams at Haejoo asking if they tried to send Yeo-Ri abroad so they could used Bom just like the Koo family used Yeo-Ri purely for Haesung’s sake. Haejoo yells back that Yeo-Ri needs to step aside since Haejoo will do anything for Gaya. Yeo-Ri frowns and slaps Haejoo again! Ahahahahha! Yeo-Ri quietly tells Haejoo that Yeo-Ri won’t let the Koo’s use Yeo-Ri’s daughter like the Koo’s used Yeo-Ri. Then sweet Do-Chi arrives and tells Yeo-Ri to go to Bom. When Yeo-Ri turns to leave, Haejoo freaks out grabbing Yeo-Ri. So, what does Do-Chi do? Betray Yeo-Ri in the name of crazy makjang family? Nope! He firmly grabs Haejoo and yells at her to stop being a freaking piece of trash under the excuse of being a mother. When Yeo-Ri gets into the car, Do-Chi throws Haejoo’s arm away and leaves. Class. They drive a little bit and Yeo-Ri declares that she has to do something. Maryun tells Yeo-Ri to take Bom to the airport. Maryun and Kidong will get Bom’s passport. Maryun and Kidong then go to the Koo residence where they commence to repeatedly ring the bell and yell for entrance. No one is home expect for Doyoung and the housekeeper. So, he lets them in. Doyoung demands to know what Maryun and Kidong are doing when they storm into the living room. Maryun screams at him that he is one to talk after kidnapping Bom in broad daylight again. Kidong calls Maryun down by reminding her that they have a purpose. They rush up to Bom’s room and begin searching for Bom’s passport. Doyoung follows and has the audacity to tell them that they are acting rudely. Maryun stops to scream some basic truths at him…like, he cannot talk about manners when they illegally made Bom dead in official documents and raised her solely to use her as a donor for Gaya. Yep. Doyoung’s response? It was all Jiwon’s idea and he isn’t part of that…just like how he’s not part of this current kidnapping attempt though he did not do anything to stop it. Maryun scoffs that since Doyoung is this useless and cowardly – only thinking about the family image – the family is a wreck. Kidong finds the passport. The two turn to leave but Doyoung stops them asking where Bom is. This gives time for Jiwon who just arrived at home to come upstairs. She says the same thing, which sets off Maryun. Maryun jumps and grabs Jiwon by her hair screaming that Jiwon is less than an animal for treating the girl that Jiwon raised for over a decade like a product. The husbands pull the two apart a little too soon for my tastes. And, Maryun and Kidong leave. Then Haejoo and Mooyeol come home. So, Jiwon slaps Mooyeol in the face blaming him for losing Maya and not bringing Maya home to save Gaya. Finally, Mr. All-I-Care-About-is-Image (because I have nothing else) yells at Jiwon to stop. He reminds Jiwon that it all started because Jiwon kidnapped Bom in the first place and lied about it. 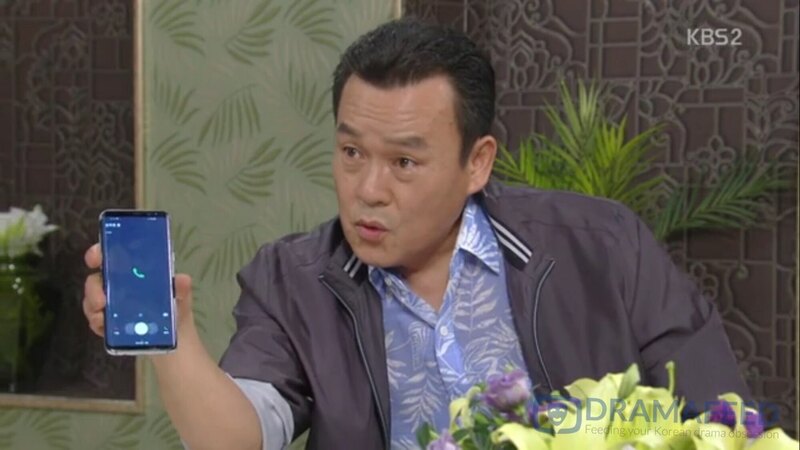 He asks how Jiwon could kidnap Bom again instead of begging Yeo-Ri as is right. Jiwon screams back that this is ALL because she’s a mom! Mom’s ALWAYS protect their children and don’t teach them from right and wrong. Because, what is the use of raising adult children with values so that they don’t attack other people? Why, we would have no more makjang dramas! Meanwhile, Yeo-Ri and her family try to book the next flight out to Boston. However, the lady behind the counter sees Bom’s passport and makes a call. Suddenly goons in black walk toward them. Kidong and Do-Chi hold off the first wave of goons so that Yeo-Ri can go get Bom in the bathroom. Maryun attacks the second wave and Yeo-Ri and Bom safely escape to an airport cab. At the same time, Officer Oh comes to visit. He tells Jiwon that she cannot keep ignoring him when he’s holding Juwon alive. Jiwon is about to brush him off again when Haejoo gasps. She heard it all. I knew that plotwise, Yeo-Ri could not escape with Bom. A daily drama does not have the budget to fly everyone out to the USA and film how Yeo-Ri and Bom come back to Korea…Yet, for a few minutes, I held my breath hoping that maybe Yeo-Ri can escape. This drama did a great job making us invested in the characters’ lives. But, I must say that I am starting to tire of Jiwon’s one-dimensional character. Her attempts to defend her illogical thinking with “mother’s love” cures all wrong is so hilariously selfish that I cannot see this extreme behavior happening in real life or relate to it. Sure, there are the few people in real life who act like this. But, those are the truly selfish and uneducated people. They are so rare that you have to be truly unlucky to run into one or more. I wonder if giving Jiwon a little more depth wouldn’t have helped heighten the angst instead of making her the Mom-Does-All-Bad-For-Bad-Daughter character. Unknown Woman Episode 75 Recap by DRAMAFEED | Copy & Paste Guidelines – Always put a link back to the source. Yeo-Ri seems to hit a lucky break when Jiwon agrees to have Mooyeol transfer custody. The episode begins with Do-Chi and Yeo-Ri walking the reluctant Mooyeol to the elevator. As they are waiting for the elevator, Mooyeol gets a text from Haejoo saying that they found another donor for Gaya. When the elevator opens, Mooyeol makes a break for it. Mooyeol rushes to the hospital and meets with Haejoo and Jiwon. Mooyeol tells them about running off without giving up custody since they don’t need to use Maya as a donor now that another match is found. However, Jiwon and Haejoo tear into Mooyeol for running away and breaking the deal with Yeo-Ri. Haejoo asks what would happen if Yeo-Ri goes to the press about Jiwon adopting Yeo-Ri and Maya just to use them as donors. She tells Mooyeol to stop obsessing about Maya and let her go. Jiwon then goes back to check on Doyoung. He asks her if something happened to Gaya since everyone looks so serious. Jiwon tells him how Gaya is sick like Haesung. She also adds that there is a bone marrow back but asks what Doyoung would have done if there was no match. Doyoung cannot answer. Jiwon sniffs that this is why she has been acting the way she has…to prepare for all possible alternatives. Jiwon then goes to stare at Gaya. Do-Chi and Yeo-Ri find her there and they go outside to discuss. Yeo-Ri demands to know where Mooyeol is. Jiwon pretends not to know. Do-Chi decides to go about this differently. They have the secretary call Mooyeol back into the office for an emergency. Then they grab him before he runs again. However, by the time that they get to the courthouse, the court is closed. Enok feels nervous and goes to Mooyeol’s house. Mooyeol tells her the truth that Gaya is sick and to keep it from Yeo-Ri. The next morning the two pieces of evil idiots attack each other. 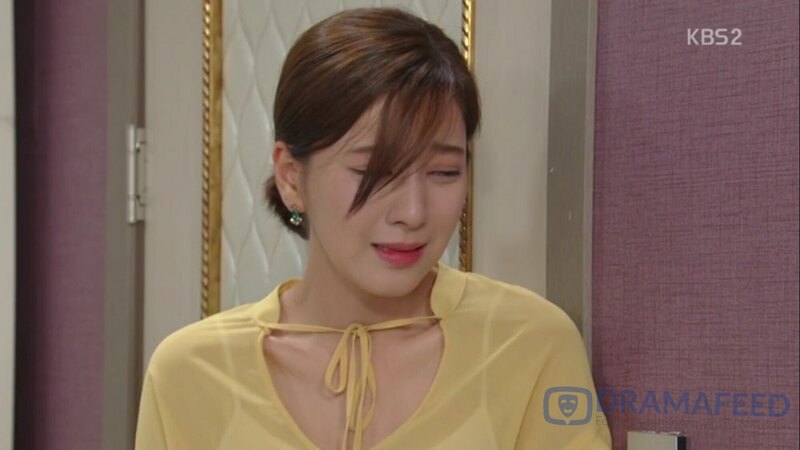 Mooyeol demands to know how Haejoo can be so cold to Maya when she raised her for nine years. Haejoo sniffs back that Gaya is sick and Maya chose to leave them. As long as there is another match, she doesn’t need Maya. Then it’s time for people to go to work. Of course, Jiwon continues to show us how ignorant and selfish she is. She snaps at Do-Chi for not thanking her for the fact that Yeo-Ri gets custody over Maya. Do-Chi smirks and reminds her that Yeo-Ri and he are just letting her off easy and they are just unraveling all of the idiotic messes that she created. She should be quiet and thankful instead of demanding appreciation. Ahahaha! Love this scene! It’s always the evil idiot baddies that do the bare minimum to maybe fix the mess, which isn’t even what they promised in the first place and demand gratitude. Haejoo decides to back Jiwon up. She yells at Do-Chi telling him to be respectful since all of the evil and makjang things Jiwon did was for her children….Because, doing evil and greedy actions that hurt others in the name of family is not evil, right? Ah, the illogical rationale of stupid baddies. Jiwon goes to bring Doyoung home from the hospital. He’s still buttoning his shirt so she automatically goes to help. But, Doyoung pushes her away reminding her that they are only together for Haejoo, she shouldn’t expect their relationship to be the same. Then, Jiwon gets a call from Doctor Kim. He tells her that they cannot contact the bone marrow match. They should move on to finding a new match. At the same time, Yeo-Ri walks out with Do-Chi and Mooyeol. They have started the process to transfer custody. 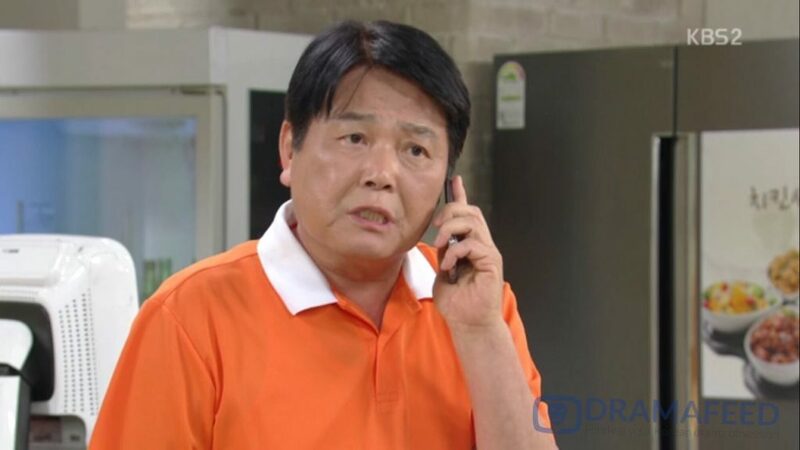 Jiwon calls Mooyeol after Gaya has an episode. She tells him that they cannot give Maya over anymore since the donor match is untraceable. Yeo-Ri and Do-Chi get ready to leave when she gets a call. I wish I knew more about Korean law for this episode. I cannot tell if the process of transferring custody is one where after they file the papers, Mooyeol has the two months to change his mind and stop the process or not. I assume he does, which means Yeo-Ri had to legally fight for custody…At least the drama gave us a silver lining. If the evil Koo’s and Kim’s use Maya as a bone marrow donor, that establishes circumstantial evidence regarding Yeo-Ri’s allegations…Also, I am not sure if it looks worse that they do it without the biological mother’s consent. If the baddies don’t use Maya as a donor, none of them have a use for Maya except for the snake Mooyeol. Final thought is that I love how the “family” is basically beating each other up and betraying one another. Despite their need to project an image, the fact is that by being so fake, they keep ruining their chance of happiness. Unknown Woman Episode 73 Recap by DRAMAFEED | Copy & Paste Guidelines – Always put a link back to the source. Yeo-Ri fights back and gets Maya back. Yeo-Ri leaves Mooyeol to join Do-Chi and Maya. Then Mooyeol gets a call from Haejoo as the school called to let her know that Gaya was sick. He had fainted. Mooyeol runs into the school nurse’s office. Gaya is sleeping and the nurse notes that Gaya had several nose bleeds recently. Mooyeol gets worried and carries Gaya to the hospital. 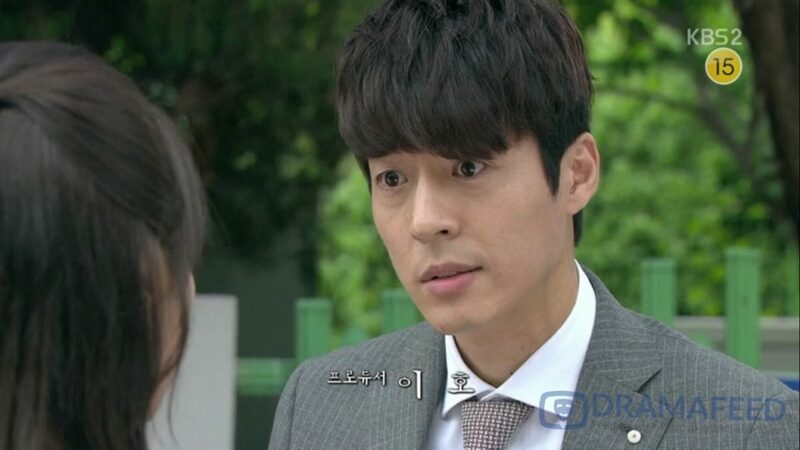 At the same time, Doyoung asks again if Jiwon really kidnapped Yeo-Ri’s child to use her as Gaya’s insurance. Jiwon confirms still unrepentant. Then Haejoo calls crying about Gaya being sick. Dear mother dearest rushes over to the examination room. Doctor Kim has already finished the necessary exams and concluded that Gaya had the same illness as Haesung did. Jiwon comforts Haejoo that they still have Maya. 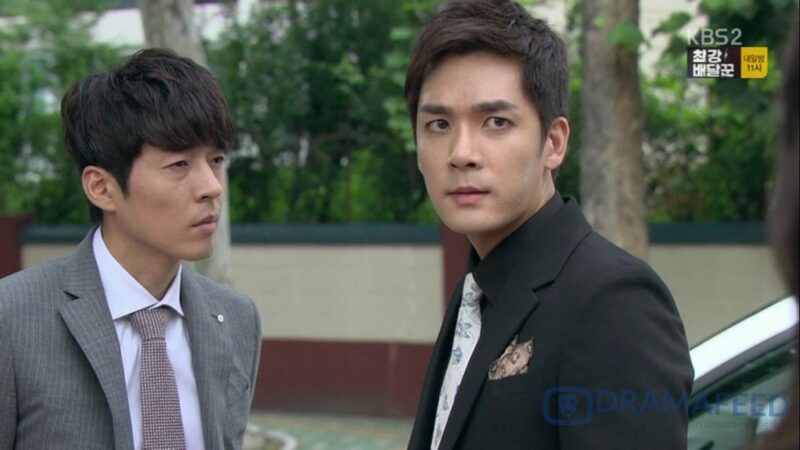 Then the two devils head over to Yeo-Ri’s house with police. Fortunately, Maya is out with Do-Chi. But, Jiwon tells the police to arrest Yeo-Ri and Maryun for kidnapping. Yeo-Ri smiles that Jiwon must not have heard the latest news. Cue Jiwon getting a call from news outlets. 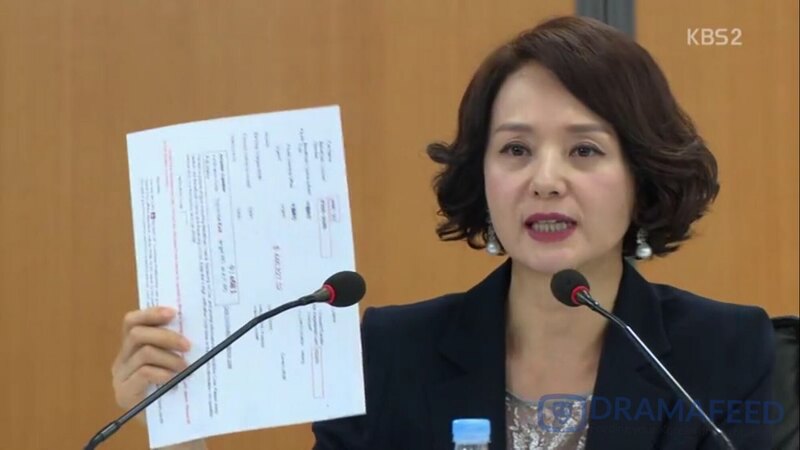 Yeo-Ri had contacted all of the major news agencies to tell them that she was going to have a teleconference about the WID Group’s immoral actions relating to her youth. Jiwon turns to demand to know what this is all about. Yeo-Ri smiles that she’s going to tell everyone about how she was adopted just to be Haesung’s bone marrow donor. She will also reveal how Jiwon kidnapped Maya to do the same. The recording might not be enough evidence to win custody but it would be enough to enrage the public. Jiwon and Haejoo follow. Jiwon tells Yeo-Ri to discuss Maya’s custody with Jiwon before the conference. So, Yeo-Ri goes to a nearby cafe with Jiwon and Haejoo. 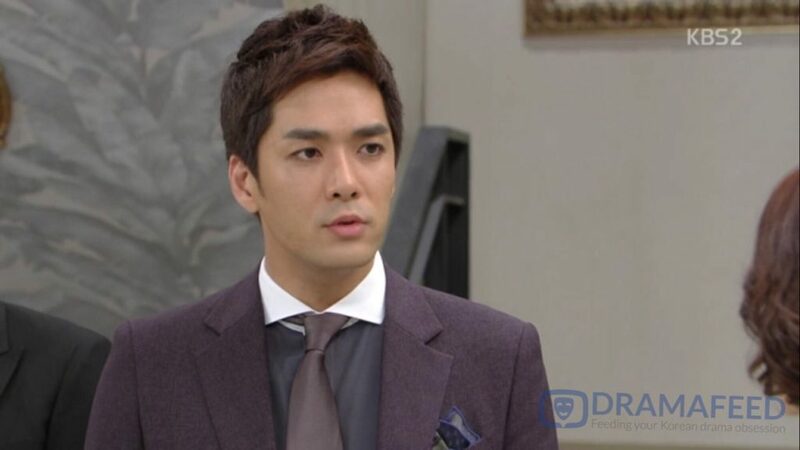 Jiwon offers to give Yeo-Ri physical and legal custody over Maya if Yeo-Ri calls off the conference. Haejoo interrupts about Gaya but Jiwon pulls Haejoo outside. Jiwon reminds Haejoo to stay silent. They can always fight for custody over Maya later. However, they must not let Yeo-Ri find out our Gaya or she will be fighting for her child…they have to lull her into a sense of calm. Hence, the deal is made. Jiwon promises to make Mooyeol give up custody and Yeo-Ri calls off the conference. True to her words, Jiwon tells Mooyeol to give up custody so that they can stop Yeo-Ri from telling the public. Things return to a false sense of calm and people go back to work the next day. Then, after lunch, Yeo-Ri goes to Mooyeol’s office with Do-Chi to go file his papers declaring that he would give up custody. At the same time, Jiwon is told that the hospital found a bone marrow match for Gaya. This was definitely a filler episode that just holds the place as the lull before the storm. Nothing much to say. March on! Unknown Woman Episode 72 Recap by DRAMAFEED | Copy & Paste Guidelines – Always put a link back to the source. Haejoo finds out about Doyoung after another close encounter. Yeo-Ri finally realized after all of this why the Koos want Maya. As Yeo-Ri and Do-Chi enter into a race to Bom/ Maya, Haejoo confronts Doyoung about Mihee Choi in his office. She tells him to explain who the woman is and why he’s looking for her. Doyoung looks shocked and stutters that he wanted to tell in her a different way…He begins that Mihee is Haejoo’s biological but doesn’t finish the word mom before he grabs his neck and falls. Jiwon is ordering Mooyeol to grab Maya when Jiwon gets the call that Doyoung fainted. They rush to the emergency room. Doyoung is getting an urgent surgery and Jiwon pretends that she had no idea. While the surgery continues, Haejoo spots Yeo-Ri and declares that in the middle of her father getting life saving surgery, she must steal Bom. Yeo-Ri runs after Haejoo to stop her and even Jiwon tells Mooyeol to stop Haejoo. With Doyoung unconscious, she doesn’t think they have the manpower to watch and keep Maya. So, Haejoo finally backs down after she’s told to stop by all of Yeo-Ri, Do-Chi and Mooyeol. Then, Haejoo decides that she’s the most traumatized out of all of them because of her failed attempt to keep her adopted child Maya from Maya’s biological mother. She goes to rest. Mooyeol takes this opportunity to tell Jiwon what he heard earlier. Doyoung had fallen just as he was explaining to Haejoo who Mihee Choi was. Jiwon tells Mooyeol to keep Haejoo from finding out the truth or risk losing his building. Since, Mooyeol doesn’t really work for anything but money, he readily agrees to betray Haejoo. Then the kids get involved. Gaya is alone and bored. He suddenly gets a nose bleed and calls Maya in hopes that she will come to check on him. Maya agrees to ask her family. Yeo-Ri decides to check on Gaya. He pulls out the tissue that he had in his nose and tells her that he’s fine. He only said he had a bloody nose to see Maya. She puts Gaya to bed before Haejoo and Mooyeol come home. Haejoo is furious to find out that Yeo-Ri is at their house. She runs up immediately when she hears that Gaya is sick. However, Gaya repeats that everything was a lie to see Maya. Fortunately, the surgery was a success and the younger generation check in on Doyoung the next day. He tells Do-Chi and Haejoo to launch a new brand. This brand launch will be the test that shows the rest of the shareholders that they have the ability to succeed him. Next, Haejoo explains to her team that they are having a competition between Haejoo and Do-Chi. Yeo-Ri and Yeolmae will be on the same team with Do-Chi while the rest of the employees will be with Haejoo. Haejoo pulls Yeolmae aside later and orders Yeolmae to spy on Yeo-Ri and Do-Chi. That day is also the day that Mooyeol is taking Maya home. Yeo-Ri shows up when school is out. She takes Maya aside and explains that they have to live apart for a little bit because Gaya missed her so much. And, Mooyeol drives away with a crying Maya as Yeo-Ri sobs as well. Yeo-Ri declares that she will bring Maya back. Back at the company, Haejoo asks for a report from Yeolmae. Yeolmae looks around and remembers that she left it in Mooyeol’s office. So, Haejoo goes to Mooyeol’s office to look for herself. She finds the investigator’s report on Doyoung, which includes his legal family report… She sees that it states that Mihee Choi was Doyoung’s first wife. As for Yeo-Ri, she broods in her room about Bom…Maryun comes in to comfort Yeo-Ri by telling her that they can fight for the appeal. 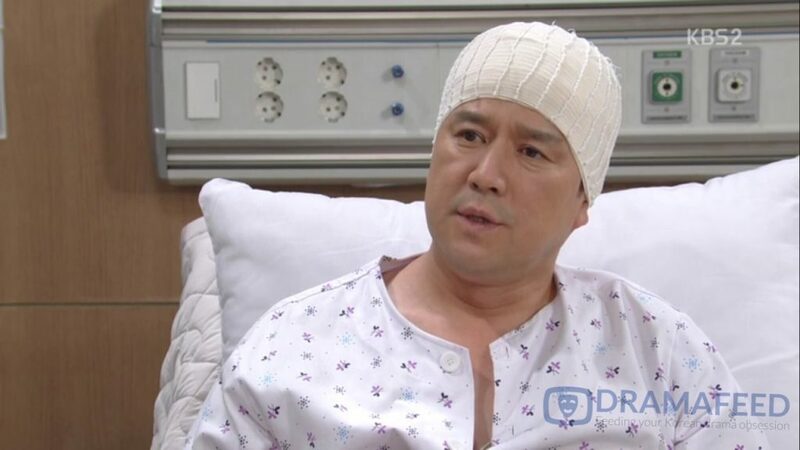 The talk turns to Gaya and his sickness as well as the weak Koo family members… Suddenly, Yeo-Ri remembers how Jiwon adopted her to be a donor for Haesung. She puts everything together and realizes that the Koos are focused on Bom because of Gaya. Another fast paced episode that keeps the story going. I like how the story threw us a bone as Yeo-Ri lost the custody battle. The episode did not end before Yeo-Ri announced that she filed an appeal and Yeo-Ri realizes why the Koos are so obsessed. Now, we have hope that Yeo-Ri and Company will find evidence that the Koos have an ulterior motive that allows them to bring Maya back. Other than the story line, the acting is great as usual. Surprisingly enough, I am still most impressed by Haejoo’s actress Choi Yoonso. Yeo-Ri’s actress, Oh Ji-Eun does a great job in acting the unlucky but fighting Yeo-Ri…but, there is something missing from her character… I almost feel like we have hit a rut? I have seen Ji-Eun cry and sob in so many episodes as well as get furious at the Koos… But that seems to be the gambit of everything that we can see? I know that it’s not Ji-Eun’s fault. That’s all that has been written for her character. However, I would love to have an opportunity to see another aspect of Yeo-Ri. Unknown Woman Episode 70 Recap by DRAMAFEED | Copy & Paste Guidelines – Always put a link back to the source. Jiwon squirms out of comeuppance and Doyoung falls back into Team Baddies. Jiwon gets taken to the police station in front of Haejoo’s eyes. She freaks out and repeatedly tells Yeo-Ri that Haejoo will sue Yeo-Ri for defamation. Then, Haejoo goes to support her mom. Meanwhile, Jiwon continues to deny that she is guilty saying that a recording by the plaintiff cannot be evidence. When Haejoo arrives, Jiwon asks for Mooyeol. The baddies’ dog rushes over at his master’s bidding. Jiwon asks for a moment to speak in private, which is granted. She then tells Mooyeol to take the fall for her. Since he’s the biological father, the kidnapping charges won’t hold and it would turn into a custody battle. The criminal charges would fall from major felony to misdemeanors with the right lawyers. Haejoo is there in the hallway and also urges Mooyeol to take the fall for her mother. Faced with the two women who are just as selfish as himself and his mother, Mooyeol agrees as long as Jiwon promises to give him anything that he wants. They walk back into the main area and Mooyeol confesses that it was all him all along. 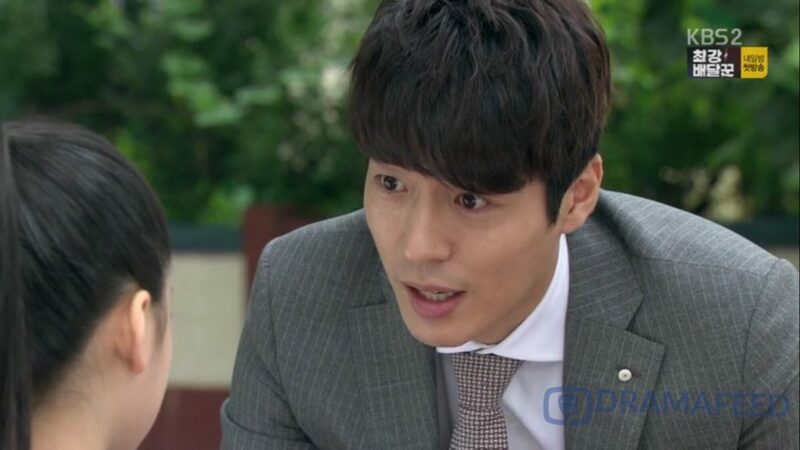 This allows Jiwon to walk free to Yeo-Ri and Do-Choi’s horror… The police cannot do anything with Mooyeol stubbornly insisting that he’s the guilty party. Haejoo takes Jiwon back to their house just as Doyoung comes home. Haejoo turns to her father who’s glaring at Jiwon and declares that he either lets Jiwon stay or lose both of them right then and there. So, Doyoung backs down and lets Jiwon come back into the house though she has to sleep in the study. That night, Doyoung drinks by himself in the kitchen brooding about his diagnosis and the state of his messed up family. Do-Chi comes in to console Doyoung. Doyoung asks if Do-Chi doesn’t hate Doyoung. Do-Chi answers that seeing Doyoung almost dead made Do-Chi realize how much Do-Chi had been relying of Doyoung as Do-Chi’s replacement parents…He understands and forgives Doyoung for Doyoung’s actions in trying to cut Do-Chi from the company. The morning after, Jiwon goes back to scheming. After breakfast, she follows Doyoung into his room to remind him that he still has an issue to resolve. He has to either cut Do-Chi off from the family or make him divorce Yeo-Ri. Otherwise, their family is too messed up with the grandfather and grandson becoming the legal step father and biological father, respectively. Then Jiwon goes to visit Mooyeol. She tells him not to worry as she will attend the custody hearing as his representative and has already engaged attorneys to represent him in the current matter. She also tells him that she can no longer give him shares in WID Group because Doyoung demanded the shares be reverted under his name…but, she promises to give Mooyeol legal ownership of a building instead. This pleases Mooyeol. However, when Jiwon is leaving the police station, she runs into Enok who makes a big public fuss about Jiwon’s evil antics. Jiwon responds by calling her secretary to physically pull Enok off. Then she tells Enok to stay quiet for Mooyeol’s sake. She cries about her son being jail. Mooyeol tells her to come down as Jiwon will pull him out and give him a building as well as being Maya back. At the same time, the judge declares that he will postpone the final decision of custody over Maya until next week. Jiwon goes home where Gaya is sobbing. He wants to see Maya… Haejoo had brought him home because he was crying all the time. Jiwon promises to bring Maya home. Then she tells Haejoo to pack and get ready. Jiwon will bring Maya. So Haejoo can take Gaya and Maya abroad until the custody is decided. Great! Kidnapping again. Meanwhile, Enok goes to Doyoung’s office. She quickly kneels and asks for help. She explains that her son is in prison and they are fighting for custody over Maya. She cries that it’s not just about Mooyeol… She thinks Yeo-Ri should raise Maya. Haejoo isn’t bad but what woman would raise the child of her husband’s ex-fiancé without having negative feelings? Doyoung promises to figure it out. However, Jiwon arrives. 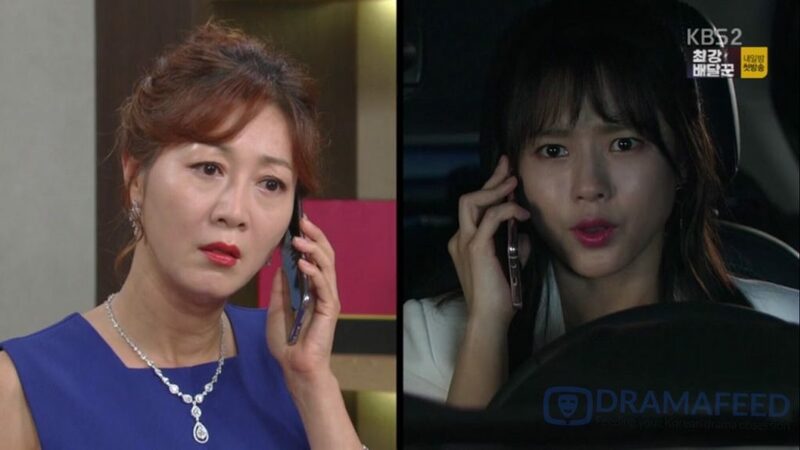 She tells Maya through the intercom that Maryun told Jiwon to wait inside. Maya lets Jiwon inside and Jiwon asks why Maya hasn’t packed… Jiwon lies that Maryun agreed that Maya could go on a trip with her family. Maya has no choice but to comply. As Jiwon drives away with Maya, Maryun returns because she forgot her wallet. Maryun sees the car and runs after it but it doesn’t stop. Suddenly, Doyoung calls Jiwon and orders that she brings Maya in. He also calls Do-Chi and Yeo-Ri. At the meeting, Do-Chi takes Maya outside. Doyoung then announces that Jiwon gives up on Maya. And, Yeo-Ri gives up Do-Chi. Or, Yeo-Ri can stay with Do-Chi but give up her daughter Bom. Ok, Doyoung you filthy wretch! You just slid right back into Team Baddie. What? A mother is supposed to choose between her daughter and her husband? What kind of choice is this? Let’s add the layer that she wouldn’t have to make this choice if Haejoo had not stolen Mooyeol away from a pregnant and engaged Yeo-Ri in the first place! Regardless of how embarrassing their family situation is, if anyone should be making sacrifices to rectify it, it should be the original evil dolt! As for a non-emotional reaction. Another episode where the plot did not slow down! I don’t feel like the drama is just throwing things at us to fill up the space either! So, kudos! A lot of this organic conflict that keeps rising up is because the drama did a great job in building in intense problems from the beginning such as the heartfelt animosity between Jiwon/Haejoo and Yeo-Ri and Mooyeol’s cowardly selfish character. Even Doyoung’s actions do not seem too surprising because he has already shown by letting Haejoo marry Mooyeol after she stole the guy away from his pregnant fiancé that his morality is not as strong as his desire to uphold a facade of a decent family image… These subarcs pop up and the viewer isn’t surprised. Rather, you almost expect it. On the side, I wonder how they are going to give depth to Mooyeol and Jiwon. While we have seen a little bit of dimension to Haejoo, she’s just kind of stupid. She reacts to situations as she sees them, really loving Maya and feeling hurt when Maya chooses Yeo-Ri, etc. However, Jiwon and Mooyeol just feel flat after 68 episodes. Evil. Selfish. Scheming. End. Doyoung comes to Do-Chi and Yeo-Ri’s rescue. Do-Chi thinks back about all the weird things that have happened recently after hearing the indirect threat from Jiwon. 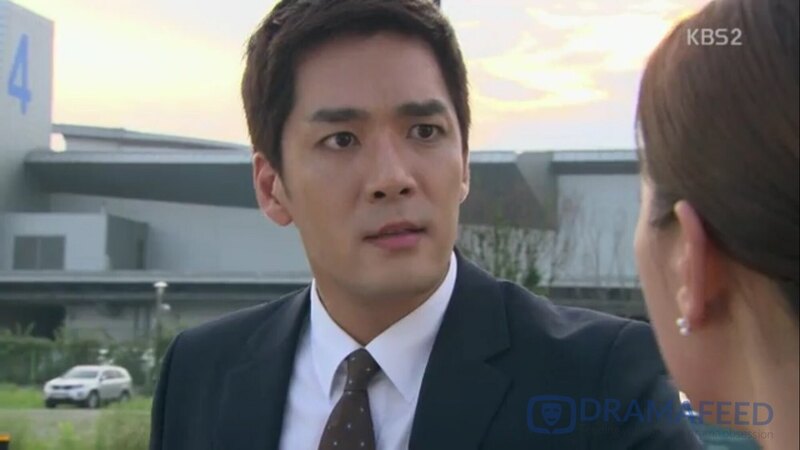 He realizes that the proposal for the Chinese factories was weird…And, there was the large deposit of money into Jjangu’s account. They rush to the conference room but are stopped by security. Jiwon arrives with Haejoo and Mooyeol trailing like the minions that they are. Jiwon smiles and notes that she does not see Maya, which was the only condition to stopping the teleconference. Yeo-Ri snaps back that they would never give up Maya. Jiwon and baddies enter the room while Do-Chi and Yeo-Ri are left outside. Jiwon immediately starts at the main point. She announces that their company is for transparency. She found out recently that Do-Chi created a slush fund through fake factories in China. He then funneled money into his friend’s account. As proof, she offers up the proposal that Do-Chi signed. Suddenly, Doyoung shows up in his wheel chair all nicely dressed up in a suit. He’s on Team Goodies now. He stands up and smiles reassuringly at Do-Chi and Yeo-Ri. Then, he walks into the conference room. Doyoung silently walks up to the front of the room and announces that he is the CEO of WID Group. He also adds that the money laundering accusation is false. He would put his own name and role on the line. Then he continues to announce that he wants to declare that Jiwon is falsifying evidence and will step down as interim CEO. Jiwon tries to deny it. But, Doyoung whispers back that he has evidence. Cue Secretary Kim walking in. Doyoung explains that he knows that Jiwon tasked Secretary Kim into framing Do-Chi. Unless she wants to be embarrassed on television, she should stand down. Meanwhile, Maryun picks up Maya from school. However, she gets down since Gaya doesn’t like Maya going off to a different house. Jiwon follows Doyoung into his office demanding to know why he wants to fire her. All she has done is tried to protect his position from Do-Chi. She framed Do-Chi so that he can no longer scheme to take over Doyoung’s position. Doyoung glares back saying that his memories have returned. He knows that it wasn’t Do-Chi but Jiwon that has been behind all of the incidents. Also, he knows that Jiwon has changed the legal ownership of all of Doyoung’s assets. Haejoo is waiting outside with Mooyeol. She hears the argument and runs in. She explains that she was the one who made Jiwon Doyoung’s legal representative. How could Doyoung take Do-Chi’s side instead of her mother’s? Doyoung tells Haejoo to stand down and out of this argument. He also states that he’s going to divorce Jiwon as they had originally planned. Jiwon goes crazy throwing things around until she cuts her hand on some glass. When Jiwon and Haejoo come home, they find all of Jiwon’s stuff packed and boxed in the living room. He tells her to leave immediately. Jiwon refuses and Haejoo yells on Jiwon’s side. Haejoo declares like the selfish idiot that she is that she refuses to acknowledge the divorce. If Jiwon leaves, she will as well. The next day, Jiwon goes into the police station for questioning about her kidnapping Bom and then falsifying evidence that Bom died. She lies throughout the questioning. Then she takes Haejoo’s call and pretends to be weak sniffling. Because liars don’t fall easily. They go down lying, acting and fighting tooth and nail. Jiwon then calls Yeo-Ri and Do-Chi over for dinner. Shes made a bunch of dishes and even plastered on an angelic smile on her face. She explains that she did everything for the family. However, she will leave just as Doyoung wishes. Jiwon leaves with Haejoo and Mooyeol following. Jiwon tells Haejoo not to fight Doyoung since that would only make Yeo-Ri’s life easier. The next day, Yeo-Ri happily drops by Do-Chi’s office with some coffee. Is this time for some normal dating? Suddenly Yeo-Ri gets a text from Jiwon. She wants to meet at Seoul Hotel. Do-Chi sees the text message and tells Yeo-Ri to go with him. But, Do-Chi has a meeting…Yeo-Ri smiles that Jiwon won’t be able to do anything with everyone’s attention on her. Yeo-Ri finds the hotel room door open. 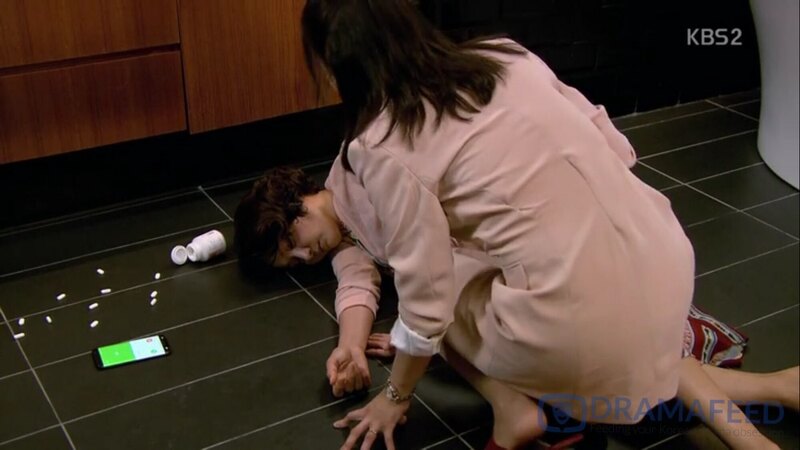 She goes in and sees Jiwon unconscious on the floor with an open bottle of pills next to her. Ah the old fake suicide attempt. Why is it that stupid cowardly baddies always opt for the really flashy woe-is-me methods such as “attempted suicides’ but not really and leaving the country? Sorry but no sympathy here. Chances are that Jiwon took a couple sleeping pills after spilling the rest to make it seem like she attempted suicide. On the side, did anyone else get surprised by Doyoung’s performance? I was all skeptical about his being able to jump onto Team Good. But when he suddenly showed up in a suit and walked up to the front of the teleconference? I was holding my breath despite myself wondering how he could save Do-Chi. Then! He slams down his statement declaring that his wife lied and falsified evidence in front of the conference for all of the journalists! I felt my heart skip a beat and I knew that I would welcome Doyoung back into Team Good after that action alone. Divorcing Jiwon and kicking her out of the house were icing on top of the cupcake. But the real kicker was the fact that he didn’t pull any “family image is most important” bull shiz and called her out when it was necessary. Go Doyoung! You surprised me today by showing me that middle aged Korean actors can be freaking mushesuh cool! Here’s to hoping that Jiwon’s latest stunt doesn’t move Doyoung back into Team Baddies. Unknown Woman Episode 66 Recap by DRAMAFEED | Copy & Paste Guidelines – Always put a link back to the source.